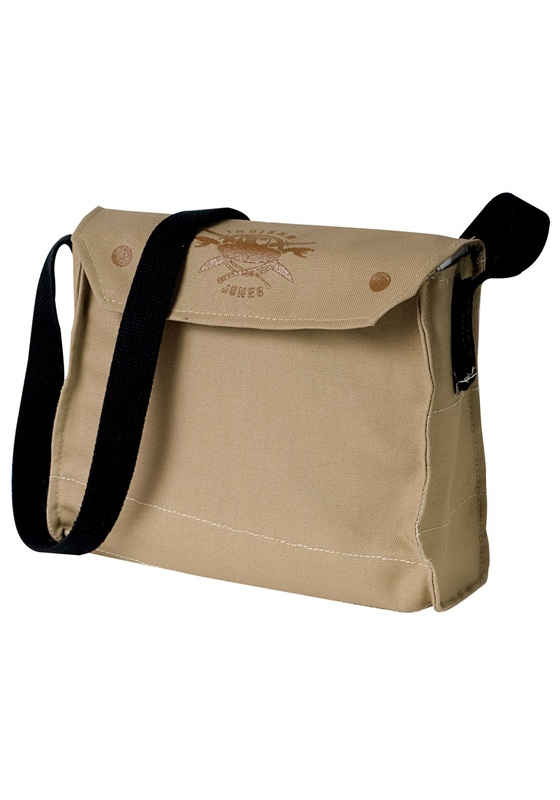 Tan colored messenger bag measures 10" x 10"
Whether you're raiding for the lost ark or just meeting up with some friends for coffee, you've got to look the part of a crusading, hip, and stylish archaeologist at all times! Because it allows you to be ready to handle anything that might come up. Like storing those precious Sankara Stones so you can return them to their rightful place... or more mundane things, like keeping your text books safe. No matter what the mission is, you can do it all with this versatile Indiana Jones Messenger Bag by your side! This awesome satchel has the look and feel of Indiana's signature aesthetic -- rugged, khaki-tan earth tones that would look right at home in pretty much any wild landscape (like deserts, jungles, or alligator-infested swamps). And with the Indiana Jones emblem printed on the flap, there'll be no doubt that you rep the world's most legendary archaeologist!